Twenty years ago Susan and I faced one of the most difficult times in our lives. Our little baby Mathias required skull surgery. Two of the four plates inside his head had prematurely fused together. The bone was still growing and forming a ridge. By right of nature, he would have grown up with a deformity. It was scary. The operation took hours. There are no words to accurately describe the swelling from such an ordeal, but the recovery went very, very well. So well that our little baby was released two days early....on Christmas Day, 1988. This was his first Christmas on earth, our first as a family, and an unparallelled blessing. 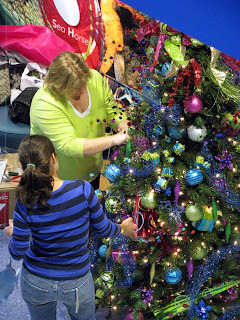 Everyone at Children's Hospital had been gentle and kind, understanding and reassuring, and cognizant of the holiday and its additional emotional impact. 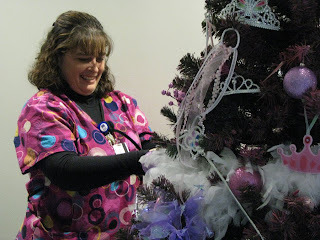 Above and below: Susan working to re-install the tree! At the time there were only five beds in the pediatric intensive care unit. 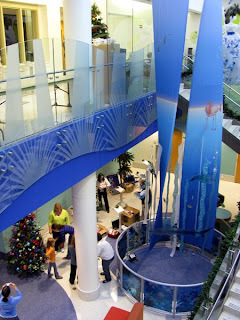 Children's Hospital was just one of the floor in the larger Richland Memorial building. Today it's an entire building. 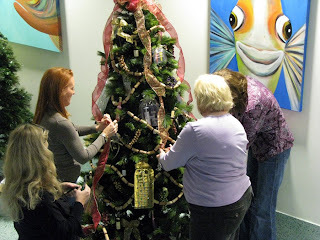 For years Susan and I have donated to the annual fund-raiser FESTIVAL OF TREES. In the past this also meant we attended the black tie gala. This year, however, the event has moved from the spacious State Museum into the smaller lobby area of the newly opened Children's Hospital. 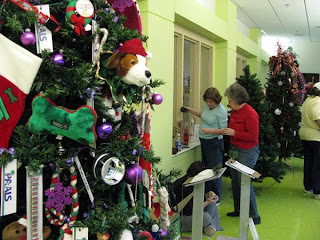 Tickets to donors have been eliminated but we were able to talk to several anxious parents and many recovering kids as we installed our tree. This kept our focus on the true meaning of giving. 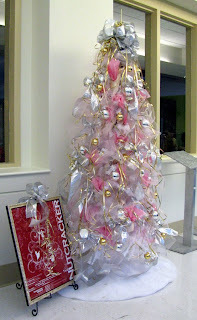 Our tree is called "The Tutu Tree". 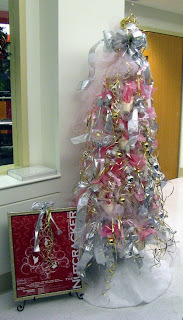 It is a "slim" tree....the size needed to keep the fire marshall happy about hallway space! 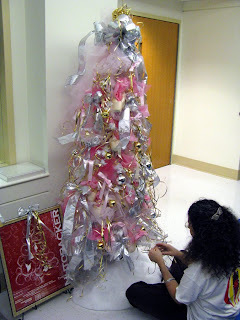 It is covered with various pink tulles, several used pointe shoes, silver lame and pink satin ribbons, glass balls, and lots of shiny gold curly ribbon. It includes a framed poster advertising the upcoming Carolina Ballet's Nutcracker, tickets for four to this production's Sunday matinee, and a $125 gift certificate for an in-stock mirror here at Mouse House. Unfortunately, the tree was knocked over after we installed it on Sunday. We took it home and re-installed it yesterday evening. It looks even more tutu-y! 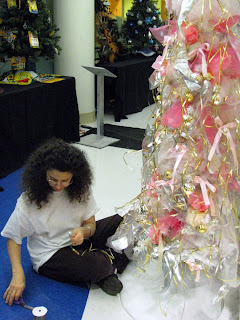 Festival of Trees is open to the public on Saturday and Sunday this weekend. Susan and I hope the event raises awareness and much needed funds. 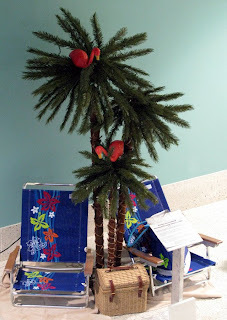 A beach themed Christmas Palm Tree.